Christian Longueval graduated as an agricultural engineer at Montpellier SupAgro and he also has a Master in pedology at the University of Sciences and techniques of Languedoc. 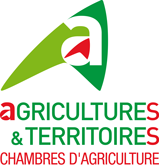 He is currently head of the agronomy and environment department of the Chamber of Agriculture of Midi-Pyrénées region. His areas of expertise are agronomy, arable crops, environment and soils, especially soil conservation and fighting erosion.